At Keystone Chevrolet, we like to stay on top of the latest technologies to help make your life easier. That’s why we’ve launched our new Trade-In Valet. This simple web app revolutionizes the car-buying process, making your experience haggle- and hassle-free. If you currently own a vehicle that you are considering trading in toward a new Chevrolet model, this tool is made just for you. Let’s find out what your car or truck is worth in Tulsa, OK! Get A Live Offer Now! 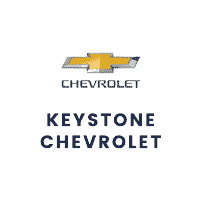 Trade-In Valet functions as a simple, secure form that you can access on the Keystone Chevy dealership website. Just input your vehicle make, model, mileage, and other pertinent details as indicated. Hit submit, and let the magic work! If you’ve seen “Trade-In Calculators” on other dealerships websites, you may already be familiar with this concept. But Trade-In Valet is different. This isn’t a calculator spitting out estimates—it’s human experts providing you an actual offer. Real live people at Trade-In Valet receive your vehicle information immediately and use their expertise to provide a true market value for your car in real time. Even better, because Trade-In Valet is staffed with experts known as National Pricing Analysts, the Trade-In Valet value you receive is a firm offer, unlike other website’s calculators, which provide an “estimate” only. This program allows us to accept more trade-in vehicles and offer higher cash payouts. Our commuters love the 2019 Chevy Spark for its city-friendly size and entry-level price. To save at the pump, consider the ultra-efficient 2019 Chevy Volt or Chevy Bolt, which achieve a combined 42 mpg and an astonishing 128 mpg, respectively. Families find their groove in roomy options like the 2019 Chevy Traverse mid-size SUV, the midsize Chevy Malibu sedan, or the full-sized Chevy Tahoe and Chevy Suburban SUVs. 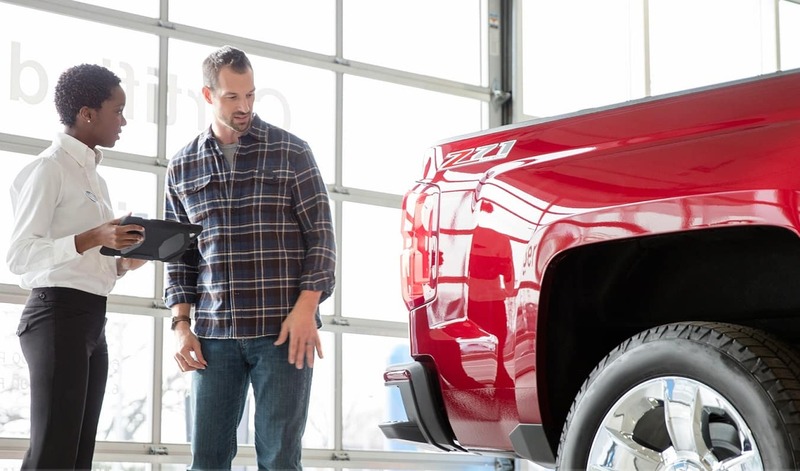 Your trade-in can also go a long way toward a newly upgraded 2019 Chevy Silverado 1500 pickup truck or a beloved sports car like the 2019 Chevy Corvette or 2019 Chevy Camaro. Our Keystone Chevy dealership has the largest selection of new Chevrolet vehicles in the area. Let our friendly, helpful sales team find the perfect vehicle for you. If you choose to put your trade-in value toward an all-new 2019 Chevrolet vehicle, you’ll have a wide range of exciting options. Our used Chevrolet inventory offers the best bang for your trade-in value. Consider a newer year, pre-owned model Chevy for a substantial discount on quality, lower mileage vehicles. You can view used inventory in our online showroom, which allows you to narrow down your search by selecting for model years, mileage, body type, features, and more. Car-shoppers on a budget love Keystone Chevrolet. We specialize in under $10,000 vehicles of all makes and models. We are also unique in the Tulsa, OK area for our Monthly Pre-Auction sales. So if you’re ready for a change but not looking for a 2019 price tag, consider applying your trade-in value toward one of our quality used vehicles. Our experienced finance staff is ready to work with your trade-in value to help create the perfect financial package for you. We work with good, bad, and even no credit as well as all income levels. Whether you lease or buy, our team will guide you toward the best deal based on your desired monthly payment, available down payment, interest rates, and loan length. Our Chevy dealership finance center has quick turn-around and can get you approved and signed within your first visit. 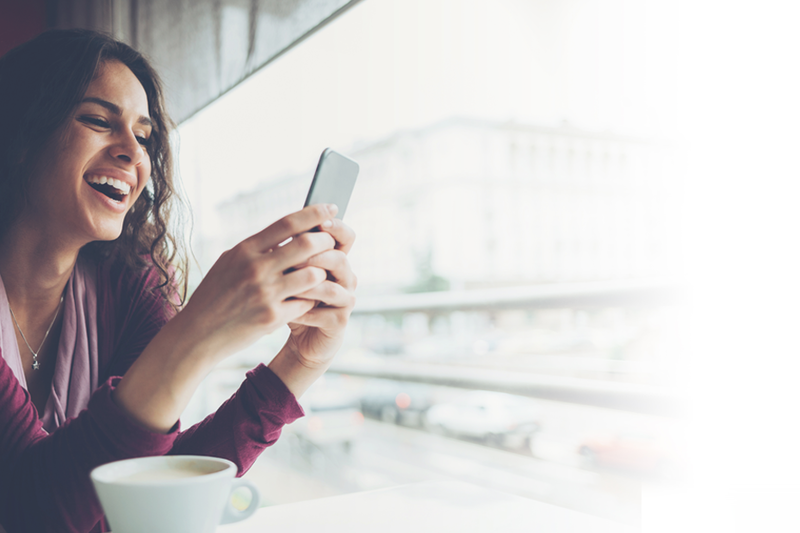 You can speed up the process by completing our secure online finance application from the comfort of your own home. Why Trade In Your Vehicle At Keystone Chevy Near Tulsa, OK? Get Your Live Trade In Offer Now! Keystone Chevrolet is the go-to dealership near Tulsa, OK for new chevy vehicles and used vehicles. We specialize in offering unbeatable deals on quality, dependable cars, SUVs, and trucks. With affordability as one of our paramount goals, we work with your trade-in value to help get the best deal. And thanks to our industry-leading Trade-In Valet, there’s no easier way to find out what your car or truck is worth in Tulsa, OK! Our thousands of rave online reviews speak to our commitment to fairness, efficiency, and friendly customer service. We invite you to visit our showroom today to see for yourself why so many of our customers become lifelong Keystone Chevy fans! Check out this gently-used 2018 Chevrolet Cruze we recently got in. Your buying risks are reduced thanks to a CARFAX BuyBack Guarantee. The Chevrolet Cruze LS speaks volumes about it's driver, uncompromising individuality, passion for driving, and standards far above the ordinary. It's exceptional fuel-efficiency is a clear sign that not all vehicles are created with the same standards. You can finally stop searching... You've found the one you've been looking for. There is no reason why you shouldn't buy this Chevrolet Cruze LS. It is incomparable for the price and quality. Keystone Chevrolet is excited to offer this 2014 Chevrolet Captiva Sport Fleet. Your buying risks are reduced thanks to a CARFAX BuyBack Guarantee. This Chevrolet Captiva Sport Fleet LTZ is an incredibly versatile vehicle that is a must have for any family. It's not often you find just the vehicle you are looking for AND with low mileage. This is your chance to take home a gently used and barely driven Chevrolet Captiva Sport Fleet. This Silver Chevrolet is clean and shiny exterior makes it look like it came straight from the factory. Keystone Chevrolet is honored to present a wonderful example of pure vehicle design... this 2018 Chevrolet Equinox LT only has 22,348mi on it and could potentially be the vehicle of your dreams! This vehicle is loaded with great features, plus it comes with the CARFAX BuyBack Guarantee. Gone are the days of SUVs being the size of a tank and handling like one. This Chevrolet Equinox is a perfect example of how SUVs have evolved into vehicles that are as refined as they are rugged. The greater your fuel-efficiency, the less your carbon footprint. And with exceptional MPGs, this Chevrolet Equinox treads ever so lightly on Mother Earth. You've found the one you've been looking for. Your dream car. Keystone Chevrolet is pleased to be currently offering this 2018 Chevrolet Equinox LT with 8,941mi. This 2018 Chevrolet Equinox comes with a CARFAX Buyback Guarantee, which means you can buy with certainty. This versatile SUV is perfect for families or contractors with its oversized cargo area, exceptional horsepower and option upgrades. Outstanding fuel economy and sleek styling are two great reasons to consider this Chevrolet Equinox. This vehicle won't last long, take it home today.